Ivor Bertie Guest, 1st Baron of Wimborne (1815 – 1914) an Ironmaster and landowner who lived in Canford Magna Manor commissioned the Golf Course at Broadstone to be built. 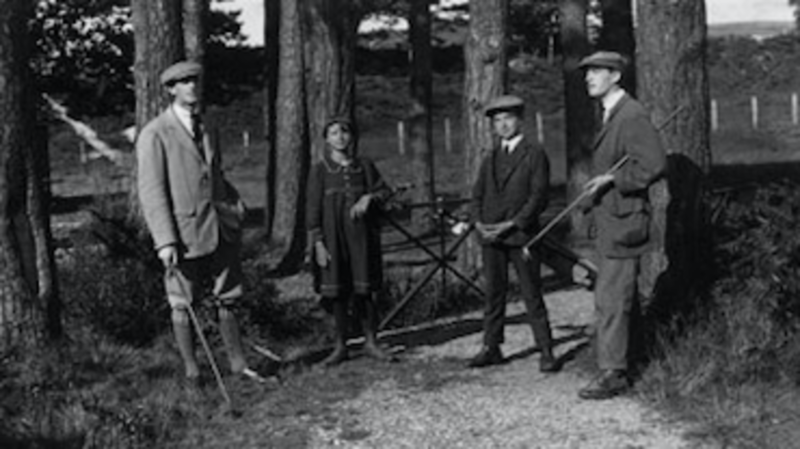 On Saturday afternoon 18th June 1898 with 6 invited gentlemen present, Lord Wimborne held a meeting at Broadstone School to set out the rules and terms for the Golf Club. It was resolved that the Club would be called "The Dorset Golf Club" and the course be known as "The Broadstone Links." Some 150 members were admitted at an entrance fee of 2 guineas and an annual subscription of 2 guineas. 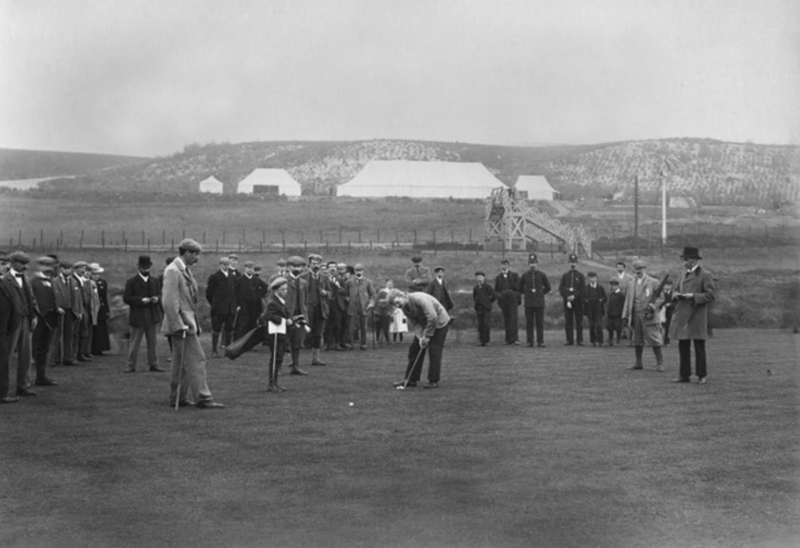 It was officially opened on the 16th November 1898 with a Foursome match between Mr. A J Balfour, First Lord of the Treasury partnered by the Wimbledon professional JH Taylor and John Penn M.P. and James Braid the professional at Romford. Both professionals were Open Golf Champions and AJ Balfour was to go on to become Prime Minister. Balfour and Taylor won the match by 4 and 3. 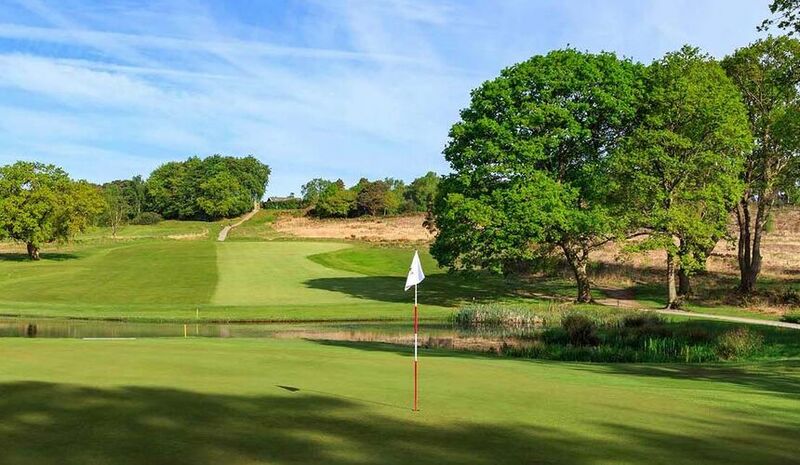 Other Prime Ministers to play Broadstone were Bonar Law, Ramsay McDonald and Winston Churchill in later years. In April 1906, the Ladies section was formed with an entrance fee of 1 guinea and an annual subscription of a further guinea. It is said that Willie Park, and Willie Park Junior had an influence on the design of the course but all the plaudits were given to Dunn. 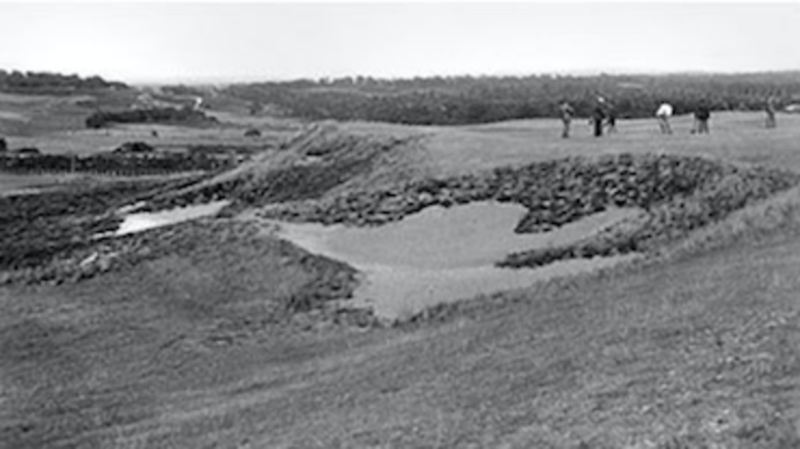 Herbert Fowler (Walton Heath) was brought in between 1905 to 1909 to modify many of Dunn’s cross bunkers, but a large majority of these were holes on the ‘old course’ which were lost when the course was re-designed during the First World War. 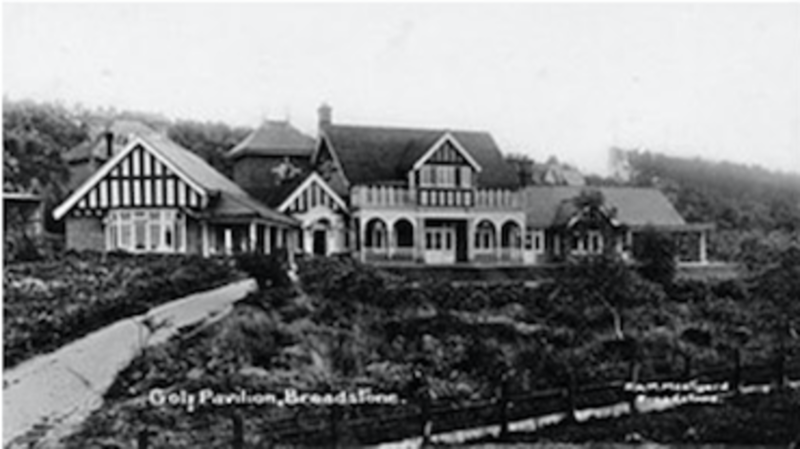 Bernard Darwin once described Broadstone as the "Gleneagles of the South" and added that it was "one of those spots clearly designed by providence for a golf course.” Many of Lord Wimborne’s political allies, MPs, military men of all 3 Services, friends and family were regular visitors to the Club most arriving by rail, the prime means of transport then. The course being situated close to 2 railway lines was ideally located for visitors who could book tickets and request the train to stop at Broadstone Halt. However, to gain access to the course from the Clubhouse meant crossing the railway line which was achieved for more than 60 years by a wooden lattice footbridge which was then replaced by a steel footbridge for a further 20 years. 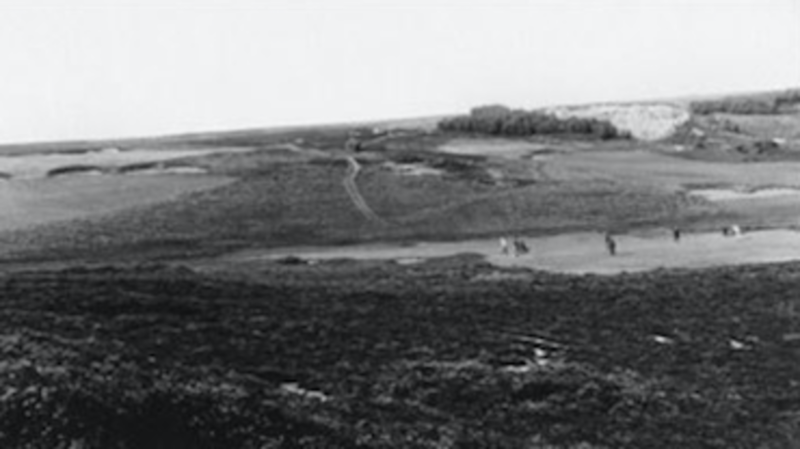 In 1914 , Harry Shapland Colt, in the prime of his course architect career redesigned the course by laying out new holes in the heathland from the present 5th tee to the 16th green thus cutting out the parkland holes to make the course entirely heathland. Although much of the ‘New Course’ came into play by 1918, Colt’s work didn’t finish until 1922 with the opening of the par 3 6th hole. In 1930, Viscount Wimborne the son of founder of the Club sold the links and clubhouse to Mr. Frank Toley for £12,500. Toley truly loved the course and spent much of his own money keeping it running before his untimely death in 1940. The Club passed to his widow, Ellen Toley, who kept the course open through the 2nd World War when membership virtually ceased. In 1971 Ellen Toley after filling the role as President and benefactor for many years sold the Course, the Clubhouse then in Golf Links Road and everything appertaining to it, to the members at the price agreed with her some 20 years earlier. The price paid was £18,000, one of the greatest bargains in golf history and a tribute to Ellen Toley's generosity. 1984/1985, the old Clubhouse which had stood since 1899 and car park in Golf Links Road, along with land running alongside the 13th fairway was sold and the present Clubhouse was constructed. Occupation was completed in May 1985. In more recent years some of the significant changes to the course include the construction of a lake in front of the 3rd green in 1988. Extending the 9th hole in 1992 to become a par 5. The old 9th green is still maintained and is played as a par 3 when another hole on the course is taken out for maintenance purposes. The hole is known as “9b”. Extending the 10th hole in 2006 with the creation of a tee on the former Somerset & Dorset Railway disused track-bed. 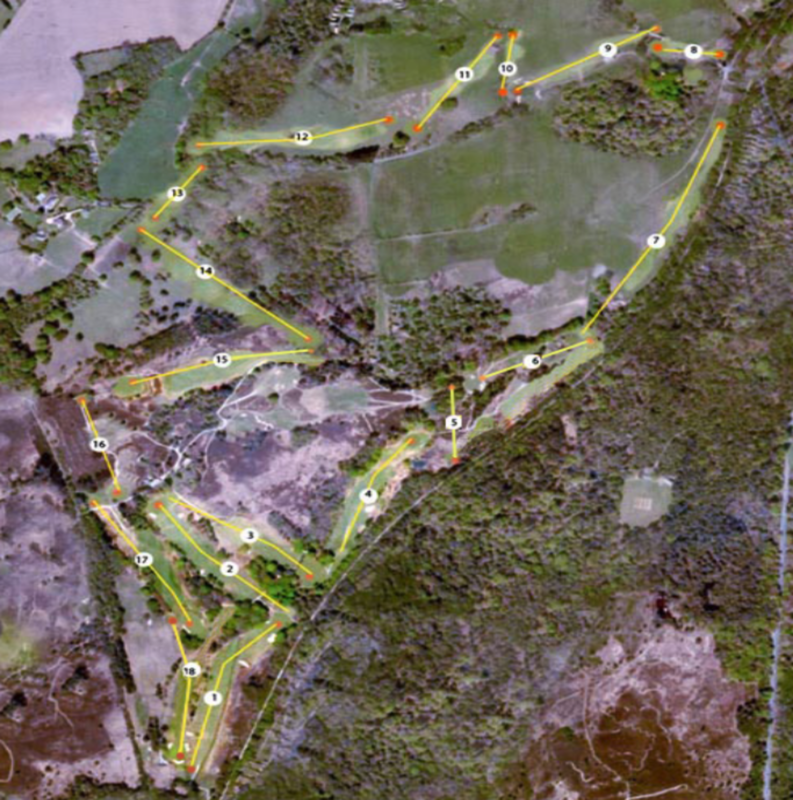 Since the 1980s nearly three quarters of the land covered by the golf course has been designated as a Site of Special Scientific Interest (SSSI) and more recently in 2005 it has been upgraded to Special Area of Conservation due to the heathland and habitat therein. © 2019 by Broadstone Golf Club. All Rights Reserved.